� How was your last visit to Orchidea? 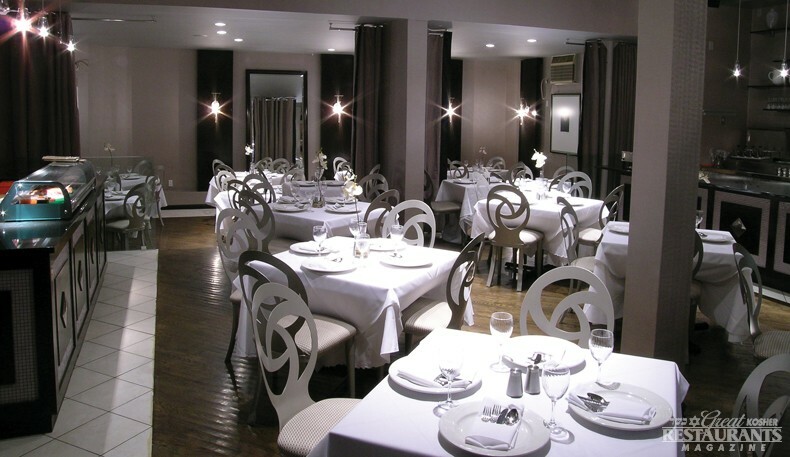 Walk into Orchidea and you will think you walked out of Borough Park and into a five star Manhattan restaurant. The establishment is decorated with style and bursting with substance. A curtain of silver beads cascade down at the entrance. On the right, is a brick fireplace and on your left, is an authentic sushi bar. The dining room is decorated by the artistic team of Rebecca & Rachel in wenge wood with metallic tones, giving the restaurant a sleek and sophisticated appearance. Beautiful custom curtains provide the option of closing part of the restaurant for private parties. Full length mirrors in the back, round out the scene. Everything is done with class and quality. Waiters in white gloves welcome you and read off the menu specials with diligence. 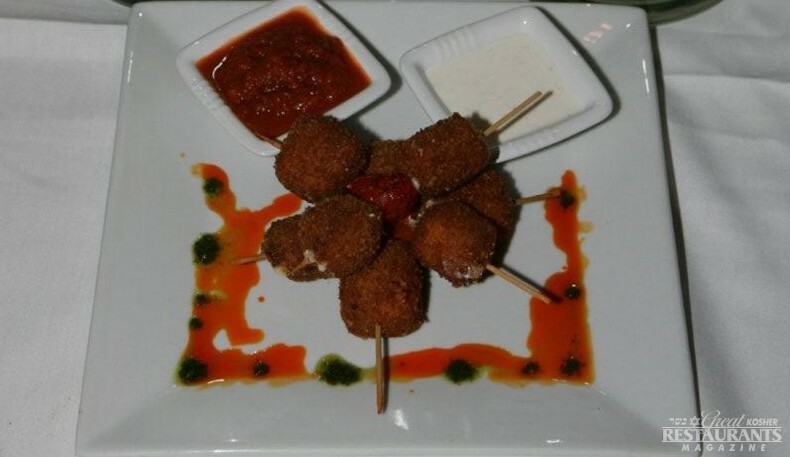 Every dish is designed with dazzling creativity and presentation. They make their own butter and bread seasoned with homemade herbs. And not seen in most Brooklyn restaurants, Orchidea’s professional staff even cleans the crumbs off your table after every course. It’s those little nuances and touches that have owners Mazal Werczberger and Ofer Kohen beaming with pride. They believe it’s the upscale yet relaxed atmosphere that creates the perfect escape from the busy flow of 13th Avenue. Freshly prepared specials, such as the Avocado Tartare with sundried tomatoes, basil and onions and the light, yet, spicy Mushroom Delight are two great appetizers to start your dining experience. Entrees such as the Chilean Sea Bass, Tuna Steak and Penne Roma are winners among the clientele. 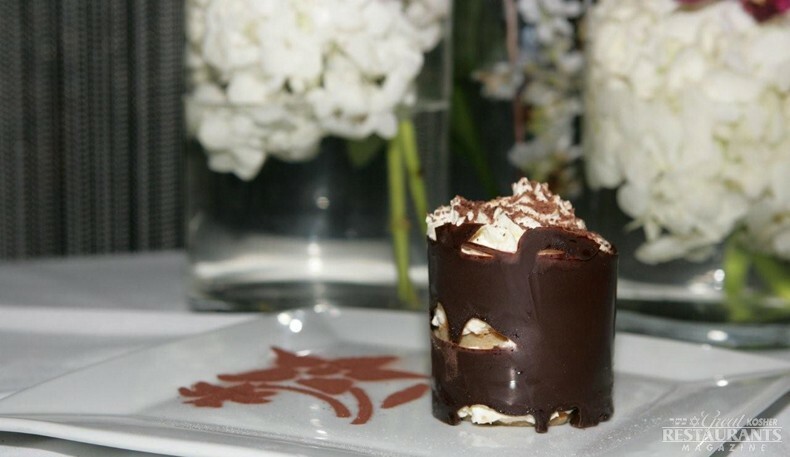 The restaurant has a special pastry chef who creates many original and exquisite homemade desserts. Too tempting to pass up is Orchidea's Heaven and Chocolate Souffle cake. It’s important to note that the dining room can be used for private gatherings. Parties of 100 or more are welcomed to rejoice in family celebrations and even weddings or corporate functions. The talented staff is available to prepare various menus for any social event. 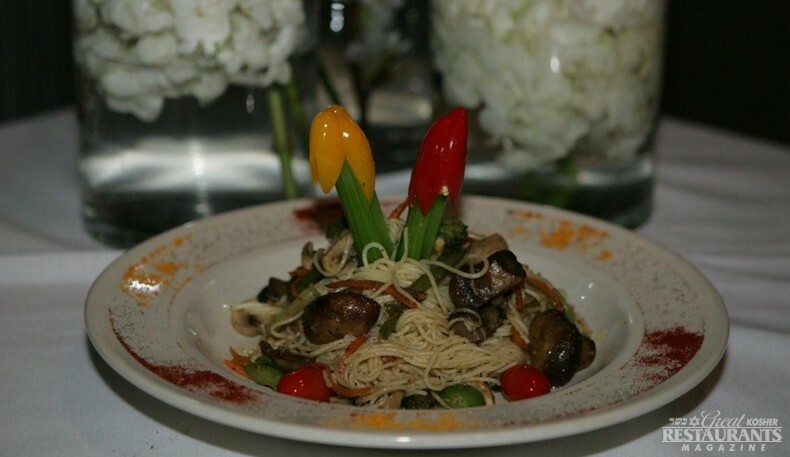 Either way, Orchidea provides exemplary service and delicious fare in an elegant and romantic setting. vegetables and more. $24 per person (less for kids), includes tax and tip. Sunday through Thursday 11am-3pm. If there would be a ten star rating this Orchidea would get it. We just made a Sheva Brochos for 60 people and from the food to the service was first class. Ofer, went out of his way to fulfill everyone's request. 10 Stars! I work in the neighborhood and had enjoyed the lunch buffet several times. The price was good, the food excellent, and the service great! I brought colleagues as well who are used to spending time in NYC dining in varied and high end places and they were impressed with the cuisine. Because Orchidea is elegant while at the same time warm and friendly, it occurred to me that it may be perfect for my son's Bar Mitzvah. From the moment Ofer took on this celebration, I was in good hands. He listened to all the details of what I wanted, added his own ideas, completely took care of everything. 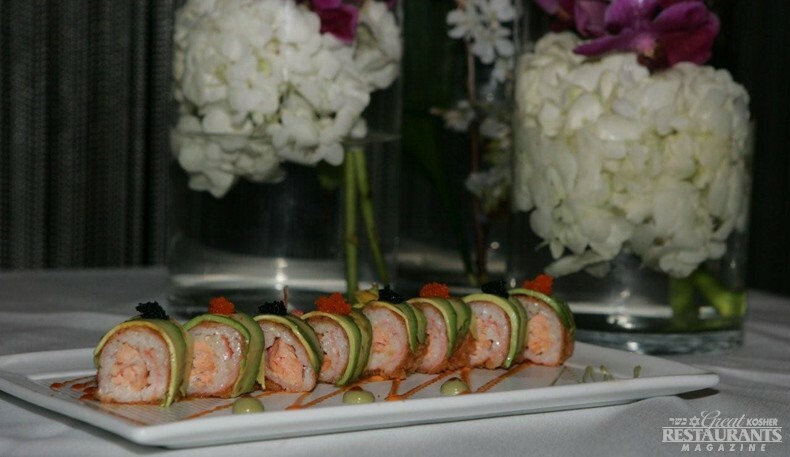 The Bar Mitzvah was beautifully arranged, the table setting elegant, the food delicious and artfully presented. Each place setting had a personalized menu with a bar mitzvah them and my son's name on it. The menu was generous and included salad, soup, main course and dessert. The guests were very pleased with the service and the ambience and my son felt that his day was a very special one. We had small children and they were accommodated without issue as well as a very last minute guest list, which created no challenge at all for Ofer. The waiters were fantastic, even pitching in to help with pictures. My son couldn't decide which table he wanted and they switched the head table 3 times without the slightest appearance of being at all put out. Ofer baked a beautiful large challah specially the morning of the bar mitzvah. The day couldn't have been better and we thank Orchidea staff and management for the personalized attention, the attention to detail and for delivering on the ask. A special thanks to Ofer Kohen! Thanks, Ofer! a while ago Orchidea was featured in either Mishpacha or Binah magazine and several of their recipes were posted, among them the yeminite soup. i lost the magazine with the recipe and would love to get it again. I would purchase a copy of the magazine. anyone know anything about this? Best place to order from!!! Thank you so much for making up such a beautiful fruit platter, with cheese cakes and Tiramisu! Amazing customer service with a personal touch. On June 9, 2013, I attended a bridal shower at Orchidea. I must say the food was delicious. From the sushi all the way to the deserts. The food was seasoned to perfection and I enjoyed everything I consumed. The service was awesome and a good time was had by all. Last night my husband Jeff and I hosted a Sheva Brachos dinner for our niece and her new husband. We live in the Boston area and had to arrange for this from out of town, over the phone. We did not have unlimited funds but wanted to make a lovely celebration. Ofer and Mazal were so helpful, caring and creative! I knew it would be a nice affair, but when we walked into the restaurant last night, the gorgeous table they had set took our breath away. Beautiful, elegant, sophisticated, but not overdone, it was simply stunning. They even produced the fixed menu on the inside of a beautiful folded card they created with a pretty design and the names of the bride and groom on the front. There was one at each place setting. The service was friendly, professional and attentive. The entire dinner was absolutely delicious!! We started with caesar salad which was tastier than I've had in any Italian restaurant, then came vegetable soup; light and flavorful, followed by tilapia with a light almond cream sauce, fresh vegetables and garlic potatoes, all artfully presented and delicious at the same time. The desserts were simply to die for!! Tiramisu in a chocolate cup and Neopolitan pastry that melted in your mouth. To top it all off, Ofer and Mazal made us all so comfortable, even accommodating our son's desire for a different entree when we could not convince him to try the fish or the penne pasta with vodka sauce. i can't recommend this establishment highly enough, and can't wait for our next trip to Brooklyn and dinner at Orchidea! this review is beyond overdue. i've been wanting to write it for the last several months but anyone who's had a colic baby would understand. my experience with orchidea was better than perfect. the owner made me a party that was more beautiful than i could have dreamed it. i had been in the hospital for almost a week and was only able to plan the party via phone. not only did he give me everything that i asked for but he also went out of his way to make me personalized photo favors and decorations i wouldn't have thought of on my own. he reassured me when i had bigger things to worry about at the hospital and executed every one of my wishes and then some. i originally chose orchidea for its beautiful ambiance and incredible food but when i walked into the restaurant that morning, i was blown away. everything was just so beautiful. needless to say, the bris went off without a hitch, the food was delicious and so many of my guests told me they'd never attended a nicer bris in their lives. thank you, ofer...for everything. i'll never forget your kindness, your impeccable taste and i can't wait to work with you again. I took my family there last week Sunday to celebrate my daughter's 18th birthday. We had 3 different soups, 3 different appetizers, and I had the grilled Chilean sea bass and my children had cheese ravioli and spinach ravioli, everything tasted delicious and fresh. I was happy that the services was fast. (I usually have no patience waiting to eat) The waiters were very polite and the prices were reasonable, I would go there again, and I recommend this place, especially if you don’t want to travel to the city and look for parking.